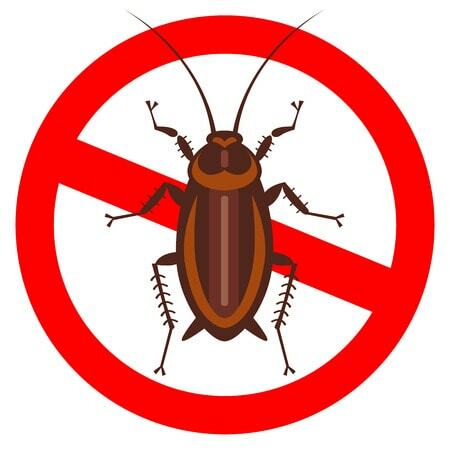 We can provide insecticide sprays or powder to as part of our insect pest control service to quickly and effectively remove serious and endemic cockroach infestations in Newcastle Upon Tyne. For milder infestations and outdoor invasions, we are able to offer a baited gel service that poisons the cockroaches. This is done through attracting them into a trap from which they can be easily disposed. As always, the clean-up of dead insects comes as standard from with our pest extermination service. Call us today for your free quote on cockroach control! Cockroaches are one of the most unpleasant and dangerous insect pests that enter into human habitation. They are small, scavenging nocturnal roaches that live in small groups. Cockroaches are highly diverse, with over 3000 different varieties known. However, they all tend to be attracted to damp and moisture. Most roaches will happily feed on any discarded rubbish and scraps. Cockroaches are reclusive by nature, preferring to live in the dark under household appliances or within water pipes. Cockroaches tend to stay hidden from humans in well-lit areas very effectively, but can be detected by their strange, unpleasant lingering smell that contaminates their pathways, their cylindrical droppings, and shed skins. Even though they are naturally avoidant and not parasitic, cockroaches do not make good neighbours for humans. Exposure to cockroach infestations carries a risk of contracting life-threatening diseases such as dysentery and gastroenteritis. Cockroach leavings have also been linked to causing and exacerbating eczema and asthma, in cases of serious infestation. A cockroach infestation also carries a social stigma (with good reason). Few people wish to live or work in buildings with untreated cockroaches running around.